Gas prices around our country are climbing. While this is something that is out of our hands, other than riding a bicycle or maybe buying a Prius, we can still make sure to refuel our life for free. How do you feel when your tank is full? Full of energy and bouncing off the walls? Wanting to take on the world? Looking for people that are also on full to be around and enjoy the energy high? How do you feel when you are running on empty? Could you sleep for days? Does your body ache and pain shoots through your nerves with every step you take and every sound you hear? There is great news on the horizon for you and that is that with a few simple mindset changes and small life changes you can break the status quo and you can get yourself refueled and ready to take on the challenges of the day. Over the course of the next few postings we will be looking at ways for you to refuel your life for free. Keep the money in your pocket that you would have spent on a RedBull or that second venti mocha frappuccino and let us help you start to refuel yourself. Where to start, you ask? Start with the things you do each and every day. One of those is eat! Do you find yourself ordering at least one meal a day from a speaker that you can’t understand what the other person is saying? 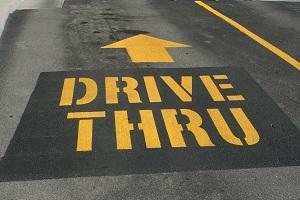 Is drive thru a food group for you? Stop that! Garbage in = garbage out and that is what is happening when you are eating this way. Begin the day the right way and eat a healthy breakfast. Start making a little extra dinner and having that ready for lunch the next day. Keep healthy snacks at your desk, in your car or even in your briefcase. Snack on good things during the day to keep your metabolism going and your energy levels high. Take a piece of fruit with you and snack on that instead of the bag of chips or the candy bar from the corner store or office vending machine. We are sure that you have heard this before, the question is are you listening? Heck your parents told you this most of your life probably. Hearing it once again can’t hurt and maybe this time you decide to do something about it. You can have a full tank with just a few small changes in your daily routine and break up your status quo. Follow along with this blog to get the next step in refueling your life. Chadalyst – Go the next week without getting your food at a drive thru window. Cook and prepare your meals. If you must eat “fast food” go into Subway or some place that is healthier that the various burger joints on every other corner.